For horror animes Higurashi no Naku Koro Ni is pretty popular. Apparently it's really messed up. I'll probably check it, especially since it was one of the two animes (along with School Days) that had their last episodes pulled off the air for one week because of ... certain instances in Japan. Those two animes are also a main reason why lots of the blood in new anime is black. Higurashi is full of win. One of my favorites anime, season two is worthy of the "DARKSLAYA SEAL OF AWESOMENESS(TM)"
Is there a lot of mystery to it? I'd guess so ... since it's horror. I'll have to check it out, been wanting to watch something like that in anime form. 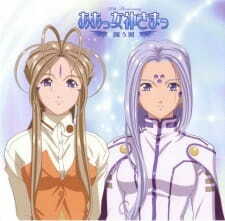 I just finished Infinite Ryvius, it was an earlier late 90's Sunrise series and was director Gorō Taniguchi's first show that he directed himself, kind of like a precursor to Planetes (now watching) and Code Geass. It was really intense stuff, majority wise very focused on drama and angst, humans failing to govern themselves in a crippled society. I've seen stuff note it takes influences from the Lord of the Flies story and I can definitely see that. The ending was surprisingly, beautiful. I didn't expect it to turn out the way it did, but it was really awesome. Simply put, it's one of my favorites I'd say. It's a bit low budget and as you can tell by it's lack of votes on sites pretty unheard of, but I definitely recommend it if you want a dark and gritty space drama with awesome characters, along with Goro's awesome directing. I'm watching a big batch of on-going animes now. Mostly romances and such, Kakokon, To Love-Ru.. I am watching Kure-nai as well, and Nabari No Ou..
Gonna be finishing the last episode of Code Geass eventually. From Euphemia's "order" on, the series just skyrocketed in terms of awesome and intensity, yo! Can't wait for Season Two. I've also just started Inukami! and X, only watching the first episode of both. Inukami is a for sure, X started sort of slow. However, I was in a impatient mood at the time, so yeah. Lastly, I started then finished Bus Gamer (see profile for OP). It's only 3 Eps long. It had a good concept and had plenty of potential, but due to the manga being cut short, and something to do with the anime makers, it had to be cut short to three episodes. Thus, the pace was weird, and it couldn't do itself justice. I still recommend watching the three episodes though, just cuz. Maybe it will revised, at least I hope so. I finally started watching Code Geass, and I have nearly completed it, just need to wait for my cousin to come over again and watch the two remaining episodes. The only on-going i've started since the last post is Amatsuki, which I am liking so far. But yeah, Code Geass is amazing. XD, you guys are awesome. Code Geass is brilliant. But uh, don't watch the video I posted in "Best Anime Scenes Findable on Youtube" until you've seen episode 1 of R2. But yeah, I'm sure DarkSlaya will back me up, season 2 is EPIC so far. Overall I can definitely see this series becoming my top favorite. , every episode of R2 so far has been totally intense / on the edge of your seat kind of stuff. It's also unlike the first season, not based off a manga or anything so it's all an original story. Interesting because often that stuff gets the "fillers" label, though I definitely wouldn't give that to R2. I think it really goes to show Taniguchi, Goro is an amazing director (mentioned him above. Other series he directed: Infinite Ryvius and Planetes are the ones I've seen and they're incredible). Other new shows I've gotten into would be Soul Eater and the new Macross, Macross Frontier (or just F). It's pretty sweet so far, though a lot of the male character designs are ... scary. Soul Eater gives off kind of a Gurren Lagann feel. Seems to have a bit of everything in it for everyone. The first episode is pretty weird and unique, it seriously looks like something Tim Burton would've come up with. I'm currently into Higurashi no Naku Koro Ni. The first episode made me ponder why I was watching it. But I was hooked by the 2nd episode. And the 4th episode sold me. The abrupt change in arcs will need some getting used to. But all in all I'll probably watch both seasons. I haven't watched any anime in about 4-5 days. It's pretty "ugh". Once this Social Studies crunk goes away, I'll be right back to it! I've been off and on myself lately, more gaming and stuff lately I guess. I dunno. Did finish Starship Operators recently, it was pretty cool. Nice space drama, reminded me of Banner of the Stars sometimes. Macross F is definitely one of the best this season, next to Code Geass R2. I'd definitely recommend it. I'm a few episodes behind with Soul Eater. 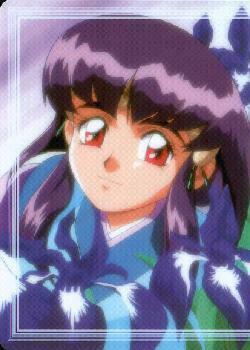 Trying to get my hands on Tenchi Muyo, because I used to relate to that series. Ahh, good times. "Who was the hottest girl ever on that show" discussions. I'm currently watching four series. I just finished Code Geass, holy crap.. The last two episodes. I cried. I am watching Minami-ke and I finished Zoku Sayonara Zetsubou Sensei and Bamboo Blade. Now catch up with R2. Me, I just watched Macross: Do You Remember Love? Unbelievable. I have no idea how it's from 1984, it just blew me away. Incredible stuff, I plan on checking out more of this series now while I keep up with Macross Frontier, which is amazing! Hey you guys... I am confused. I just watched episode 24-25 of Code Geass(the episode that was released three months later) , and from what I hear there is several things that are left untold. What happens to Nina, How Lelouche loses his memory...everything. I mean are they concluded in the second season so far? Anyways, I've been obsessed with both the Macross series and Ghost in the Shell lately. In enjoying Macross F so much, I checked out the old movie "Do You Remember Love" which is like an alternate retelling of the original Macross series ... for 1983, it blew me away. Incredible music, art, animation, everything was amazing. From there I watched Macross Plus, the sequel which also had an insanely good OST, then Macross Zero, a prequel to the series which was ... eh. I just downloaded the original series too, definitely plan on watching that soon. Ghost in the Shell seems like a mixed bag for some. I'm not a huge fan of the first movie to be honest, and I hear Innocence is a love it or hate it kind of thing as well, but the Stand Alone Complex series really had me hooked. The first season was really episodic based, but I absolutely loved the characters and the maturity of the show (consistency, etc). The second season, 2nd Gig, has more of a single arc plot that covers most of the season, with some backstory episodes here and there that are again amazing since I believe the characters are incredible. Top notch stuff. Some don't like the series since it's so "deep and complex" and whatever, I'll even admit most of the first season completely went over my head (especially the last few episodes), but I still thought the character development was very good and the quality of the show with the music, art, atmosphere, cool setting, etc was always there. I can see it becoming a favorite! Macross and GITS, epic series. Yes, I am current in R2 (How is it possible I wouldn't be?) and all of my questions are answered. I love Code Geass, no big change in anime's I am watching. Other then Daa! Daa! Daa! which is a 1998 romantic comedy I decided to download =p. Yeah. Well I'm not sure if I'm liking R2 as much as season one ... it's just really over the top and I have no idea where the series is going, lol. But I still like it. I think Macross F is becoming my favorite this season. and what Zero did in episode 9 made him seem a lot more evil then I thought he was.